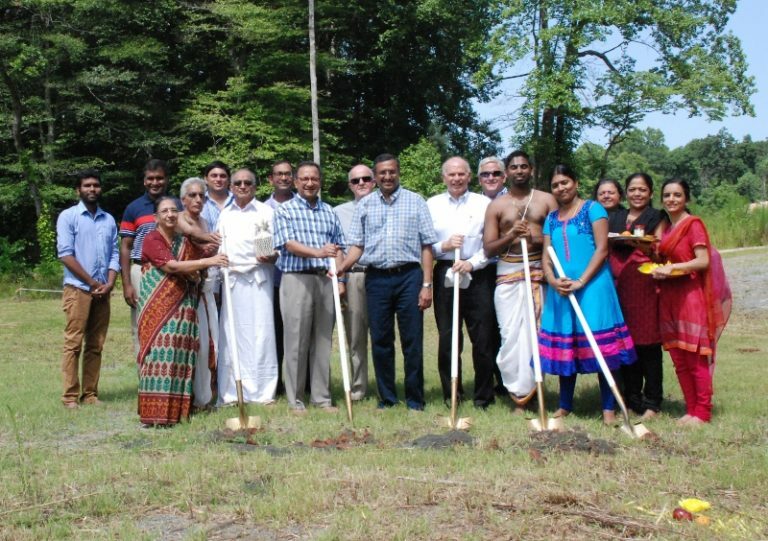 S. C. Hondros & Associates, Inc. employees recently joined the faithful of Trimurti Temple at a groundbreaking for Charlotte’s newest Hindu Temple. 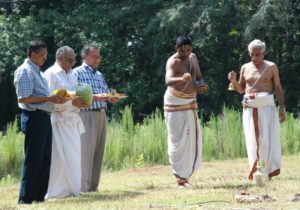 The ceremony, led by two Hindu priests, began with a procession to the site from the existing temple with bell ringing, sprinkling of holy water and music. The existing temple and new temple site are located on a campus in northwest Charlotte. The priest continued around the site sprinkling holy water. Prayers were said, the ground was blessed, and a pumpkin was broken to cast away evil spirits. The S. C. Hondros & Associates, Inc. project team of Sam Kleto, President, Tommy Laughlin, Estimator, and Greg DuFour, Project Manager, joined Trimurti Temple faithful in turning shovels of dirt at the building corner. 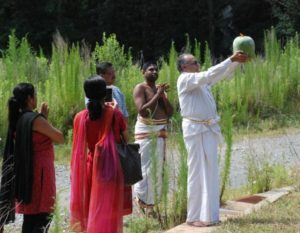 The ceremony concluded at the existing temple with prayers, fellowship, and a traditional dessert.